Royal Jelly is a very nutritious substance. It differentiates Queen Bees from worker bees, and allows them to grow bigger, live longer, and make more babies. It also exhibits these effects in other organisms and increases lifespan by mediating the glucose/insulin aging process. (Please click through to the link to understand the context I’m using to make that last statement). I’ve written about its health benefits in the past, and recently covered the challenges of using royal jelly in supplement form. Today, I’m going to review and compare three products from a company that specializes in Royal Jelly products……BeeAlive. I’ve used their products in the past and enjoyed them, so I was pleasantly surprised when they contacted me to use some of their products and write some reviews. I’m not getting paid for this review. (Nor have I ever). It’s true that I’ve already used the products before so am probably a little biased, but nobody’s in cahoots around here. I’ll do my best to point out all the relevant details of each product, including when they will and won’t be best for certain customers. As far as I know BeeAlive is the oldest, most established company that deals exclusively with bee products. They’ve been doing it since 1984, sell directly to customers, and have a specialty in royal jelly. As far as I know they’re also independently owned. For royal jelly this is particularly important because it’s a very fragile substance and its most nutritious ingredients are very sensitive to environmental degradation. For example,`a study published in the International Bee Research Association found that 6 of 11 randomly sampled royal jelly supplements were degraded. In many cases its most remarkable nutrient 10-HDA is missing entirely. So there’s potentially a high value-added proposition from a company that exerts a tight control over the supply chain and has carefully controlled business processes that take special care not to rough the stuff up. What’s better is that BeeAlive only uses fresh royal jelly. It’s not powdered, watered down, or freeze dried. For many companies this would be a recipe for disaster because careless business practices would render it useless. But for a company with experience in handling it from beehive to jar it’s a unique opportunity to digest it as nature intended. Energy Serj: An energy shot that uses royal jelly, eleuthero, and schizandra berry. This was my personal favorite. Sweet Energy Formula: Royal jelly mixed with raw honey. 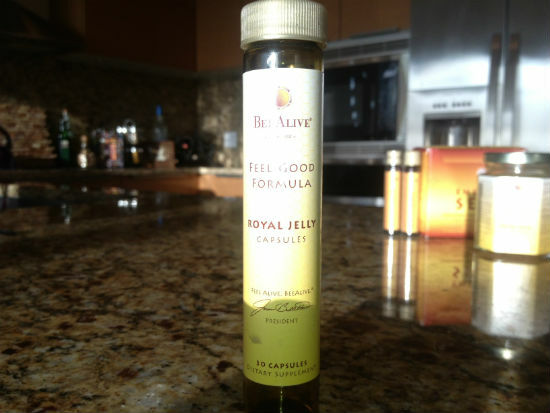 Feel Good Formula: Royal jelly capsules. Let’s take a closer look at each product, shall we? As I noted before, I liked this product the best. It’s a unique and high quality supplement in an area (energy drinks) that mostly consists of overpriced cola. Very nice. It has orange flavoring added to it, and the taste is very distinct. Simultaneously sweet and bitter. It’s quite strong, and I’d recommend mixing a shot with 4-6 ounces of water for someone who can’t handle the taste on its own. 15 vials cost $36, 30 vials cost $72. The Feel Good formula is probably BeeAlive’s flagship product. It’s a vile of royal jelly capsules that each contain 150mg of active ingredients. It didn’t have the novelty of the other two products I was given, but is the best choice for someone looking to consume a high quality royal jelly supplement that’s convenient and affordable. 3 month supply costs $99. The sweet energy formula is a 225g jar of raw honey with copious amounts of royal jelly mixed in. In general most honey is overrated as a health food because it’s nothing more than fructose and glucose molecules floating around in solution. It’s hydrolyzed table sugar. Nothing particularly healthy about that. However, certain types of honey are quite unique in their health properties. A good example would be Manuka Honey, which is made from a particular tree in New Zealand and has a variety of medicinal properties. So high quality honey can actually enhance the benefits of royal jelly instead of diluting them. What makes this product unique is that it’s made to be a royal jelly supplement that’s made with honey instead of the other way around. A teaspoon has over 1g, which is a lot for this type of product. 3 month supply costs $112.50. One benefit of bee products is their natural sweetness makes them easy to use in day-to-day life. Ever taste raw eleuthero powder? Nasty! It’ll make you gag. But pollen, royal jelly, propolis and honey all have a natural sugar content which makes them easy to take on their own and add to other foods. 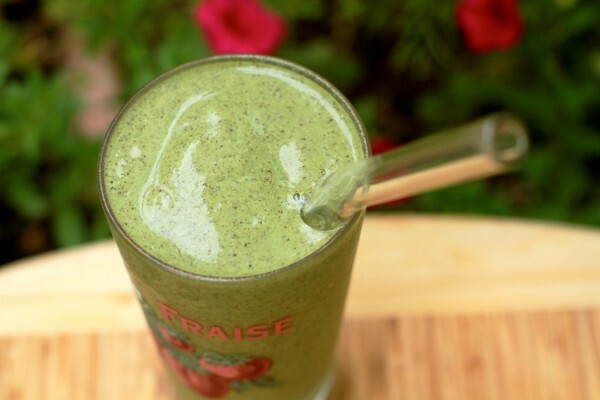 I think they all taste fine on their own, but here’s a useful smoothie recipe for someone looking for creative inspiration. It’s borrowed from this excellent suggestion by Grant Us The Luxury. BeeAlive is more expensive than many traditional royal jelly supplements. If you want you can buy something from NowFoods or PuritansPride with the same amount of active ingredients for less money. For many people this is a good option since we all have different health priorities and budgets. However, when talking dollars and cents it’s best to make sure you’re making an apples to apples comparison. A freeze-dried powder is much less expensive to make than importing fresh royal jelly, and the various steps you have to take throughout the supply chain to protect against degradation are expensive. So if you limit your comparison to companies that specialize in the same type of royal jelly the sticker price begins to look more reasonable. And in my opinion it’s difficult to find a company that simultaneously specializes in fresh royal jelly and avoids looking a little bit skeezy. In general I’m a fan of royal jelly and BeeAlive as a trusted supplier of said nutrient. No product is for everybody, but if you’re serious about getting non-degraded RJ from a trusted source and willing to pay for quality then they’re the best way to go IMO. Previous Post New Incredible Greens Product Video. Check It Out! Thank you for your post. I didn’t realize there were Bee products other than honey. Fool the public. Collect the money. Build a big mansion. Sit back and smile. Thank you for your information! 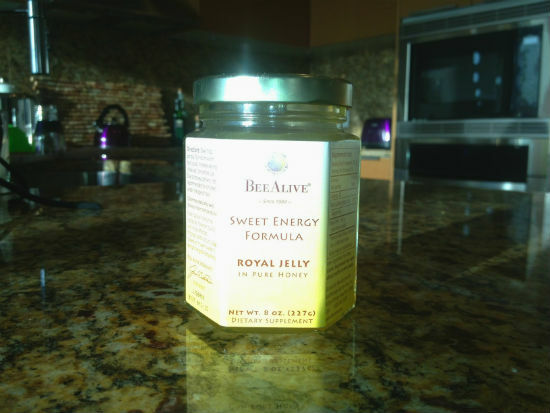 Can you compare the raw royal jelly from Bee Alive that you’ve recommended previously (http://www.beealive.com/prod/Royal-Jelly-and-Bee-Products_42/Royale–Raw-Royal-Jelly-_39.aspx) to the products you tried above? I’ve been taking the YS brand of royal jelly mixed with raw honey, but I’m tempted to shell out the extra dollars for a purely royal jelly product. I am using this to aid in the recovery from a very debilitating form of Chronic Fatigue Syndrome. Thanks again! Thanks for writing! I unfortunately did not get a chance to try the raw royal jelly. If you’re looking to up the dosage of royal jelly but also conscious of costs then I’d recommend the sweet energy formula. It has 1,066mg RJ/serving, but I am not sure how this compares to YS, either in quantity or quality. Thanks! I get a bit of a sugar buzz from the jelly in honey, so I tried the raw royal jelly (from Bee Alive) this morning. I spoke to several royal jelly advocates beforehand who suggested holding it under my tongue for a few minutes (homeopathic style) so that the body’s digestion process doesn’t destroy any properties of the jelly. The taste is incredibly foul — like bitter sour milk. Fun! 😉 I’m not sure I can do something that tastes so revolting for a few weeks, but I’m willing to try! with the feel good product, do you know if using capsules makes any difference to the wa or amount that is absorbed into the body? The capsules themselves probably don’t make a difference because they dissolve in the body. The real question is whether or not the encapsulation process degrades the royal jelly compounds. In this case it’s a little less clear, but I have an interview with the founders of the company coming up pretty soon where they’ll answer questions like this. When you say that the Energy Serj effects are best noticed “over time”, about how long would you say it takes to feel the effects? This isn’t a great answer, but I really think it depends. Unsatisfying, I know, but this is both the pro and con of the Energy Serj. No caffeine and only “clean” ingredients, but that’ll mean greater variability in how it affects you. For people it’ll have an effect on I’d say 10-15 minutes, and there’s a good chance you may have to take it for 10-15 days before it starts to have its effect.